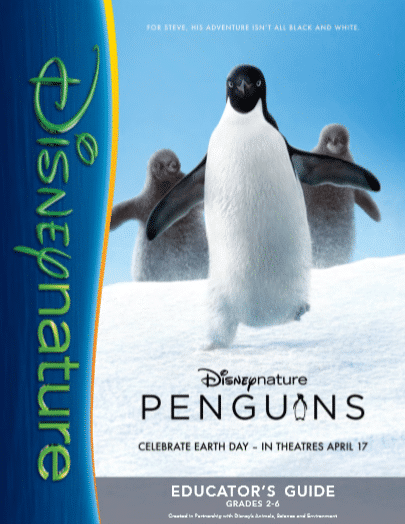 Home Disney TipsDisney Entertainment	The Disneynature Penguins are here and they are Adorable! 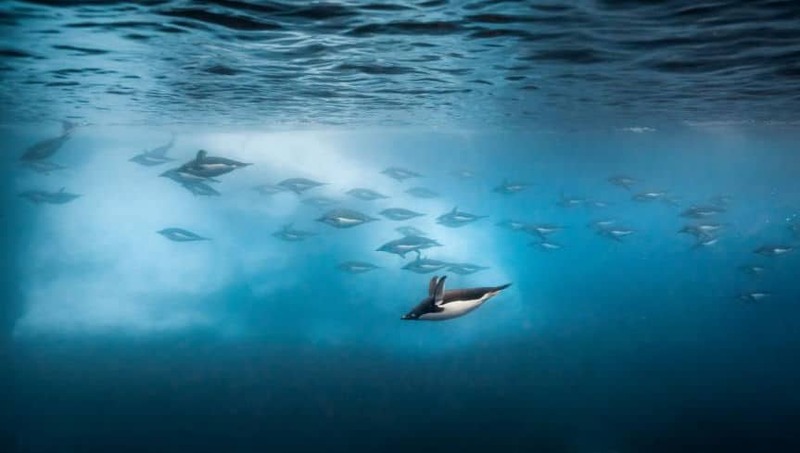 Disneynature Penguins knocked it out of the park in this year’s Earth Day film. Here’s why I think you should see it in the theater and take your kids. Ever since my brother-in-law raised over thirty thousand dollars for penguin conservation and ran the Antarctica Marathon in 2012, I’ve had a soft spot for Adélie penguins. I’m guessing I won’t ever make the trek to Antarctica myself, so when I heard about the new Disneynature Penguins movie, I couldn’t wait to see it. I was so excited to see an early screening of the film with my boys and this has quickly become my favorite Disneynature production so far. We received complimentary admission for the purposes of this review. All opinions are my own. We have always enjoyed watching documentaries as a family, whether it’s an IMAX film or a television show. But what I love about Disneynature is how they really create a magical story while following a specific animal and by the end of the movie you feel like you made a friend. Official: Disneynature’s all-new feature film “Penguins” is a coming-of-age story about an Adélie penguin named Steve who joins millions of fellow males in the icy Antarctic spring on a quest to build a suitable nest, find a life partner and start a family. None of it comes easily for him, especially considering he’s targeted by everything from killer whales to leopard seals, who unapologetically threaten his happily ever after. This could not be more true. From the moment Steve waddled onto the big screen, my kids and I were exchanging glances and giggles and at one point, my 10-year old said, it looks like he has googly eyes!, right when I was thinking it. And even though I already have a roundup of penguin crafts, I’m really feeling the need to make a Steve with googly eyes! Watching his interactions with the colony was entertaining and engaging and of course the scenery was like nothing else on earth. We followed Steve’s colony of Adélie penguins for about a year and learned all about these amazing and resilient creatures from migration to mating to raising babies. Penguins is great for children because not only is it full of educational information, there were many laugh-out-loud moments where the narration by Ed Helms and the visual of Steve the penguin were perfectly matched. The humor was simple enough for kids to enjoy but clever enough that mom and dad will love it too. Shout out to whoever chose the soundtrack because the music was perfect! And while there were a few moments of suspense, there is nothing in this film that would prohibit me from recommending it to kids of all ages. Penguins is rated G and has a runtime of 76 minutes where you will see amazing scenery, learn about the beauty and danger of life in the Antarctic, and gain a new respect for these wonderful little guys. If you want more Penguins after the movie, Disneynature has created some amazing and free resources! There are two options, but feel free to print them both. The Educator’s Guide is geared toward kids in grades 2-6 and the activity pack is for anyone! 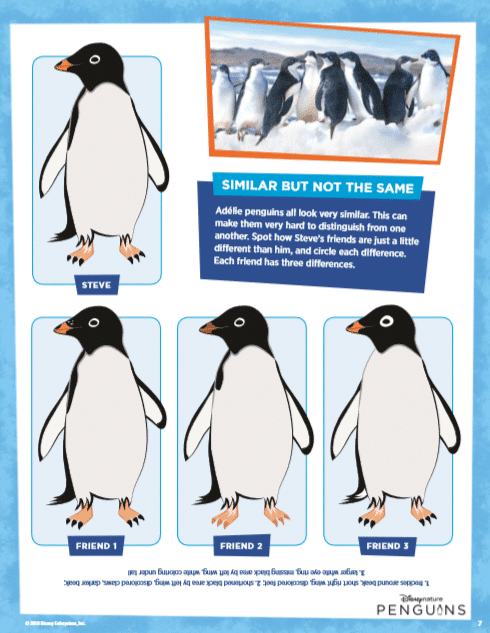 Print one or both of these fun Penguins activity packs by clicking the links or images below and enjoy! One other thing I love about Disneynature films is their commitment to conservation. The more I learn about the amazing creatures we share this world with and how much they rely on repetition and environment, the more I appreciate conservation efforts. So, for every movie ticket sold opening week, which is April 17-23, 2019, Disneynature will make a donation to the Wildlife Conservation Network (WCN) to help protect penguins across the southern hemisphere. Even Disney Parks is in on the penguin love. Check out what they are doing at Animal Kingdom Theme Park and see how you can do your part to keep our oceans clean! 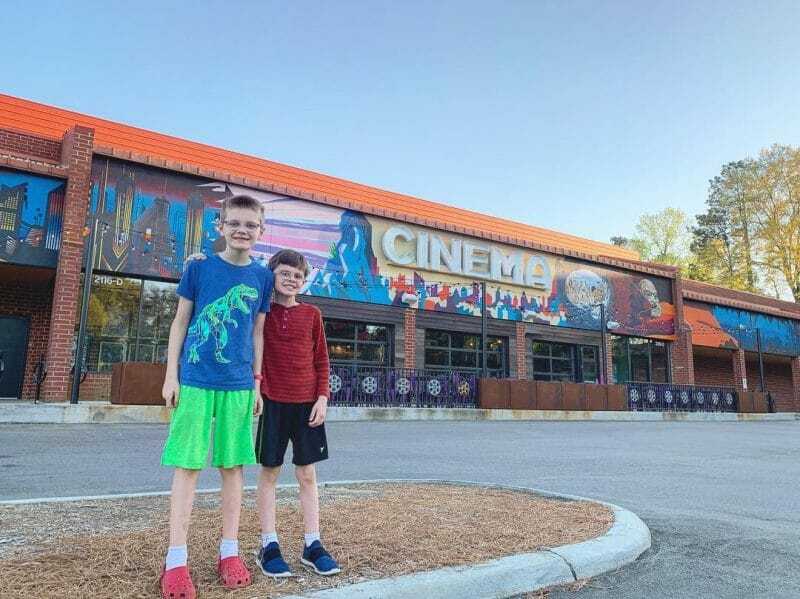 Aside from the fact that going to the movies with the family is fun, giving back is a great reason to catch this one on the big screen if you can! 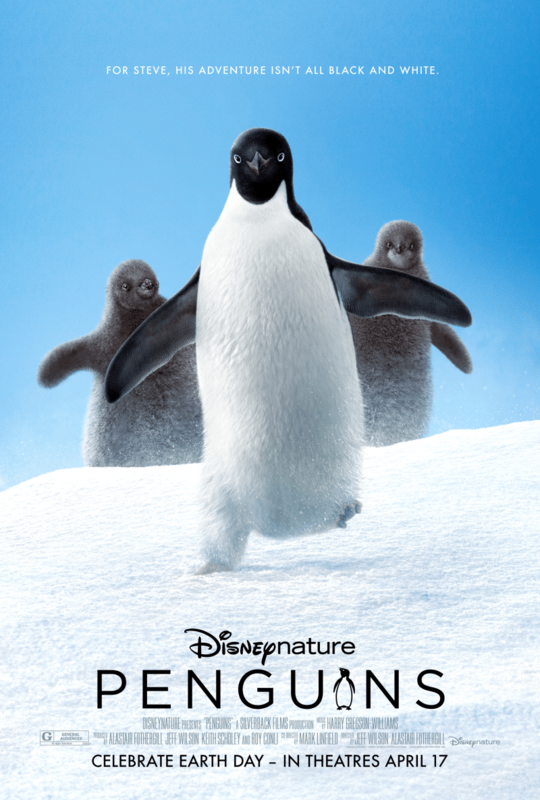 And Penguins is the first-ever Disneynature film to be released in IMAX®, which I can only imagine is stunning. If you do need to wait until it comes to your TV, I’m sure it will be on the new Disney+ streaming service! Read all about that in this parent’s guide to Disney Plus streaming service. This is such a feel good family movie. I can’t wait to see it again and if you go this week, please let me know your thoughts! For more Penguins and other new updates, keep up with Disneynature on Facebook, Twitter and Instagram.